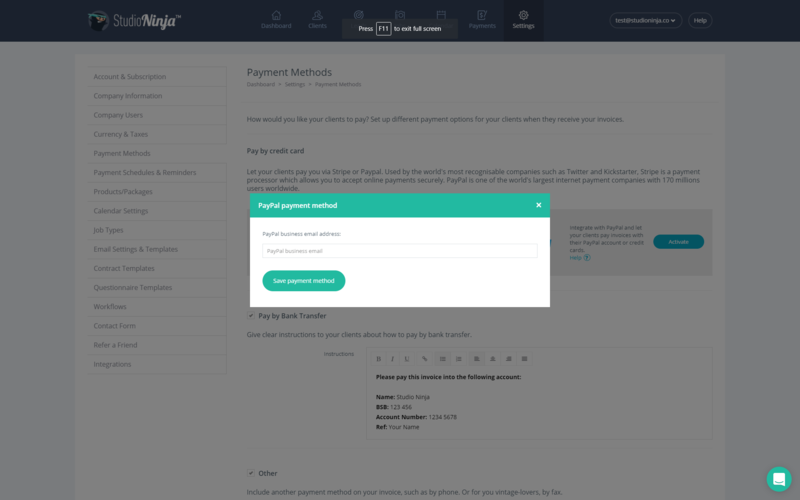 Learn how to integrate Studio Ninja to PayPal so clients can pay your invoices online using credit card. Integrating with PayPal used to be a daunting and complicated mission. Now you just need to create a PayPal business account and then add the corresponding email address into your Studio Ninja account. The first thing you will need to do (if you haven't already) is go to www.paypal.com and setup a Business Account. Step 2: Once your Business Account is active, open Studio Ninja and go to Settings > Payment Methods. Step 3: Click on Activate in the PayPal box. Congratulations, you've activated PayPal in your Studio Ninja account. 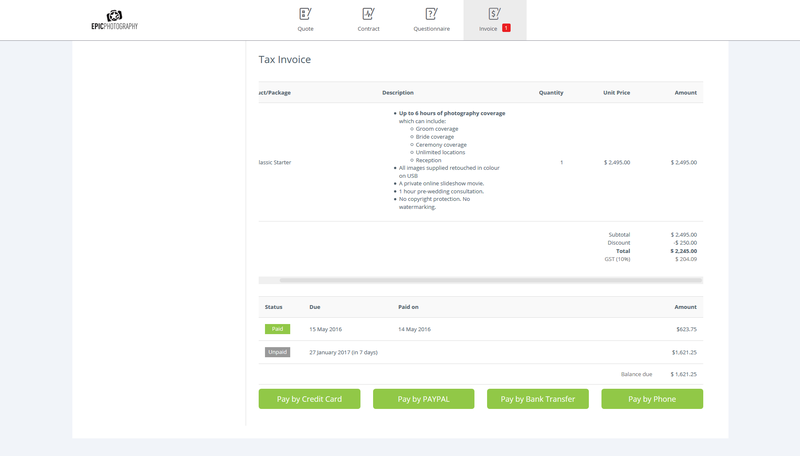 Now your clients will be able to pay your invoices online using credit card. A new 'Pay by PayPal' button will appear on all your invoice. Another option of taking credit card payments online is to integrate with Stripe (instead of PayPal). 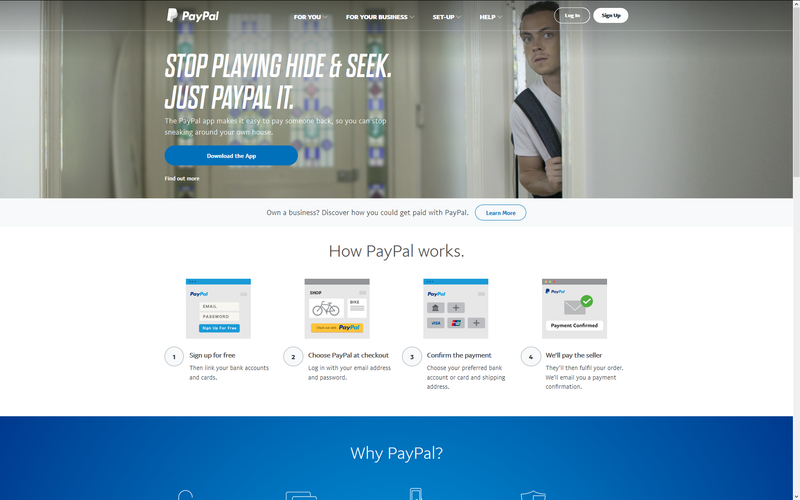 The Stripe client experience is more streamlined because they make payments straight from the client portal rather than being redirected to PayPal. With Stripe, money gets transferred straight into your bank account whereas with PayPal money stays in your PayPal account.